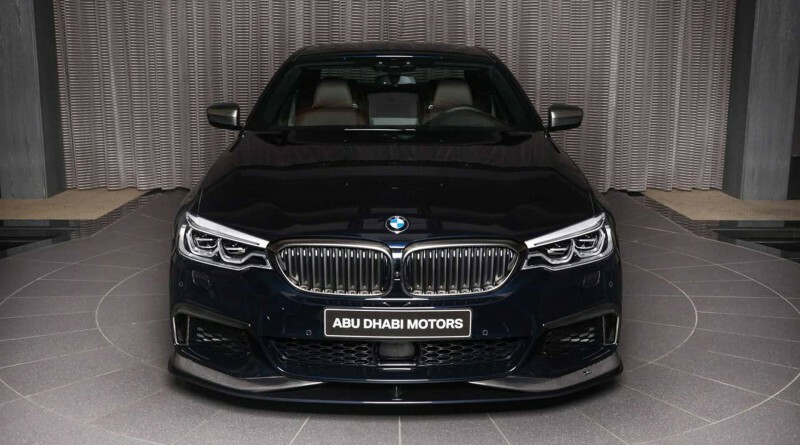 The infamous BMW Abu Dhabi Motors has seen its fair share of unique, and very expensive custom BMW’s over the last few years that have been sold through the dealership. 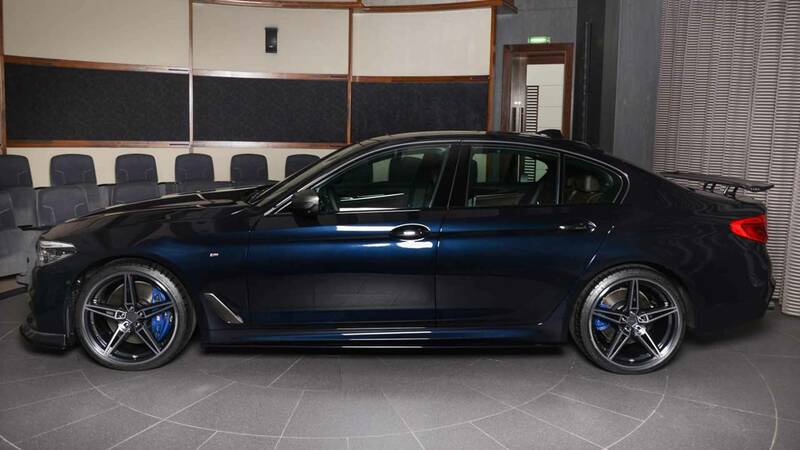 This dark blue M550i xDrive features a full body kit from famous BMW aftermarket specialist company AC Schnitzer. 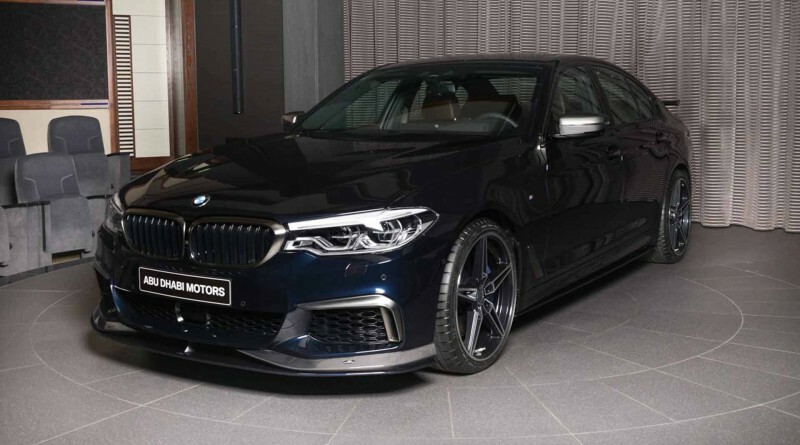 The two companies have built a powerful sedan that will turn heads just about everywhere it goes. The AC Schnitzer kit featured a big front splitter underneath the fascia, and the piece features carbon fiber flourishes at each corner. Thicker sills are found each side. 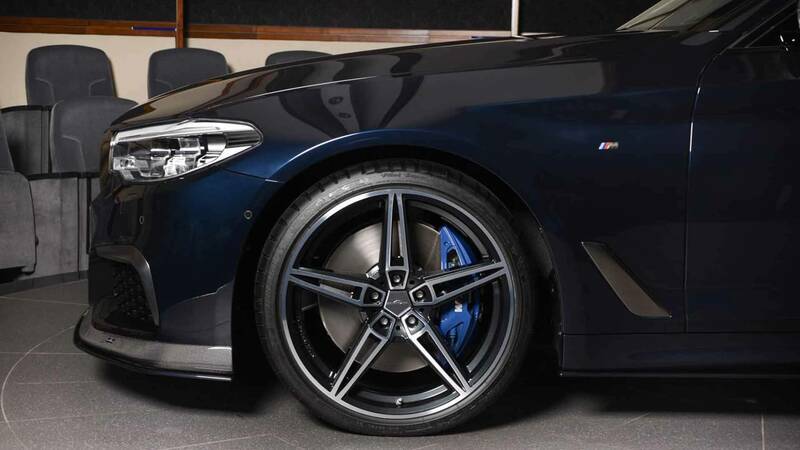 The wheels feature five sets of very narrow dual spokes. 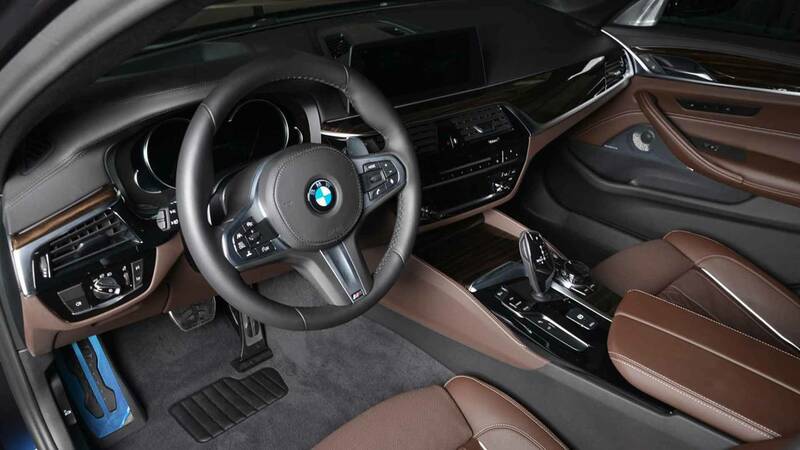 There’s extra carbon trim ahead of the front door, too. This example features an AC Schnitzer exhaust with four big pipes in the back which helps sport an impressive look on the M550i. The interior does not disappoint either, it clearly shows that the aggression is not just in its exterior looks, but visualized in the entire car. Brown leather partnered with white piping cover the seats and door panels elegantly. 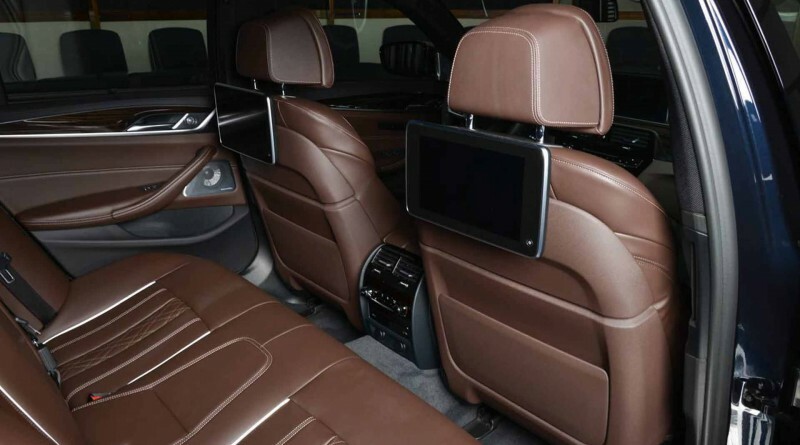 Tablets are available in the back seat to keep any potential passengers occupied. The M550i is powered by a 4.4-liter biturbo V8 engine that produces 456hp accompanied by an 8-speed automatic transmission that sends power to an all-wheel-drive system. 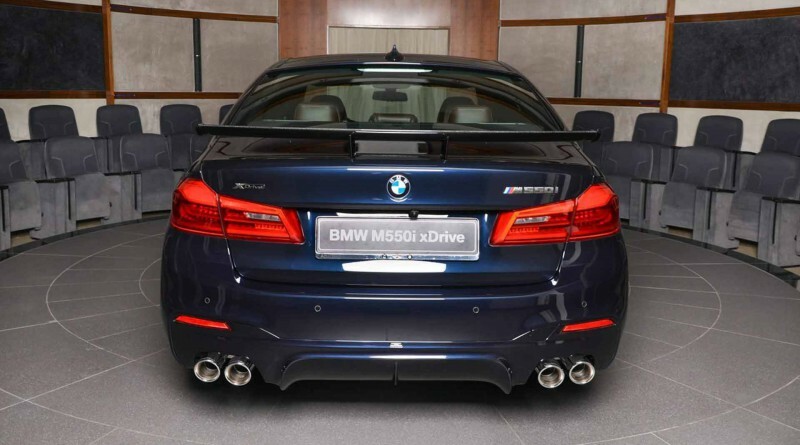 The car goes 0-60 mph in 3.9 seconds with a limited top speed of 155 mph. 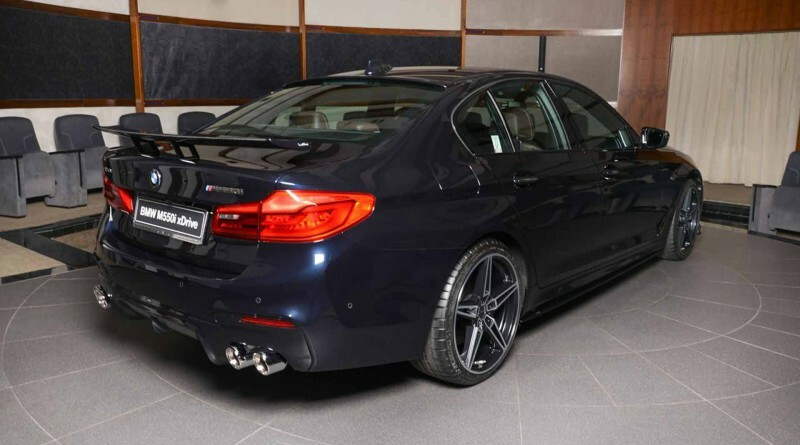 Just to be clear, this is not your average BMW 5 series.